Caspari Ribbons. Size: 1.5 inches x 9 yards. Caspari Gift Ribbon. Products for Entertaining. Caspari Ribbons. Size: 1.5 inches x 6 yards. Caspari Gift Ribbon. Paper Products for Entertaining. Caspari Ribbons. Size: 1.5 inches x 9 yards. Caspari Gift Ribbon. Paper Products for Entertaining. Caspari Ribbons. Size: 1.5 inches x 8 yards. Caspari Gift Ribbon. Paper Products for Entertaining. Caspari Ribbons. Size: 5/8 inches x 10 yards. Caspari Gift Ribbon. Paper Products for Entertaining. Size: 2.5W inches x 5 yards. Ribbon for Bows, Gifts, Trees, Christmas Trim and more by Kurt S. Adler renowned ribbon trims and bows creations for Christmas, Holidays and Seasonal Decorations and Decor. Sheer Purple Double Wire Ribbon Size: 10 yards. Ribbons for Bows, Gifts, Trees, Christmas Trim and more by Kurt S. Adler renowned ribbon and bow creations for Christmas, Holidays and Seasonal Decorations and Decor. 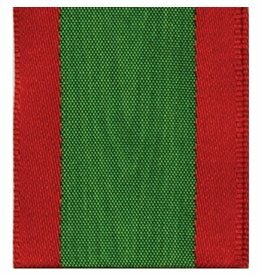 Stripe Sue Ribbon Red and Green. Size: 4 inch Width. Roll Size: 10 yards. Everyday Ribbon - Reliant Ribbon Collection. Decorative Fabric Ribbons and Trims. Met Dot Strike-Gold/Silver Ribbon. Size: 2.5 inch Width. Roll Size: 25 yards. Everyday/Holiday Ribbon - Reliant Ribbon Collection. Decorative Fabric Ribbons and Trims. Large Velvet Diamond-Red Ribbon. Size: 5.5 inch Width. Roll Size: 10 yards. Everyday Ribbon - Reliant Ribbon Collection. Decorative Fabric Ribbons and Trims. Pineapple Taffeta - Burgundy. Size: 4W inches x 5 yards. Collection: Ribbons Bows Holiday Decorations and Christmas Decor Collections. Winward Silks Home Decor and Decorations for the home. Pink With Green Dots Motion Ribbon Glittered. Size: 2.5 inch Width. Roll Size: 10 yards. Everyday Ribbon - Reliant Ribbon Collection. Decorative Fabric Ribbons and Trims. Tinsel Town-Red Ribbon. Size: 2.5 inch Width. Roll Size: 10 yards. Everyday/Holiday Ribbon - Reliant Ribbon Collection. Decorative Fabric Ribbons and Trims. Burgundy Embroidered with Sequins Ribbon. Size: 5 inches x 10 yards. Ribbon for Bows, Gifts, Trees, Christmas Trim and more by Kurt S. Adler renowned ribbon trims and bows creations for Christmas, Holidays and Seasonal Decorations and Decor. Electrify-Gold Ribbon. Size: 2.5 inch Width. Roll Size: 20 yards. Everyday Ribbon - Reliant Ribbon Collection. Decorative Fabric Ribbons and Trims. Size: 4W inches x 10 Yards. Ribbons Bows and Trims Collection by North Star by Premier Holiday Decorations, Seasonal Decor, and Accents for decorating for a variety of seasons themes, occasions, or special events. Caspari Ribbons. Size: 1.5 inches x 9 yards. Caspari Gift Ribbon. Paper Products for Entertaining. Found, Available and in stock now at the Interior Digs N Gifts Shop Online or In store for local pick up. Size: 4W inches x 5 Yards. Fabric Ribbons Bows and Trims Collection by North Star by Premier Holiday Decorations, Seasonal Decor, and Accents for decorating for a variety of seasons themes, occasions, or special events. Netting over Velvet Ribbon. Size: 2.5 inch width x 10 Yards. North Star by Premier Holiday Decorations, Seasonal Decor, and Floral Accents for decorating for a variety of seasons themes, occasions, or special events.